Most SME’s in Ireland, write off an average of €13,780 annually due to customer non-payment or insolvency, according to the recent Global Business Monitor published by Bibby Financial Services Ireland. The volume of retail sales increased by 2.6% in November on a monthly basis, the latest figures from the Central Statistics Office (CSO) show, on the back of strong Black Friday sales. Aldi has announced an increase in the minimum pay of its staff, raising it to match the recommendations of the government’s Living Wage Technical Group. The acquisition of chocolate and dessert maker Lily O’Brien’s has been completed by Colian Holding, a company listed on the Warsaw stock exchange. High-end Dublin grocery store group Donnybrook Fair turned back to profitability in the year to the end of January 2017 on the back of “improved trading” across its retail units. As Christmas trees are coming down across the country, Easter treats are already arriving on Irish retailers’ shelves. Adopting “Black Friday” and “Cyber Monday” may prove something of a pyrrhic victory for retailers here. These US promotional events appear to be displacing consumer spending to an earlier point in the Christmas shopping calendar. The National Lottery recently revealed a small independent store in the North County Dublin seaside town of Malahide sold last Friday’s winning €38.9m EuroMillions Jackpot, and is set to receive a €25,000 bonus as a result. The number of visitors to Irish whiskey distilleries has shown an 11% increase last year, according to new recent figures published by the Irish Whiskey Association (IWA). The ABFI has released an end-of-year analysis for the sector, highlighting key areas of growth in 2017 as well as future trends and prospects. 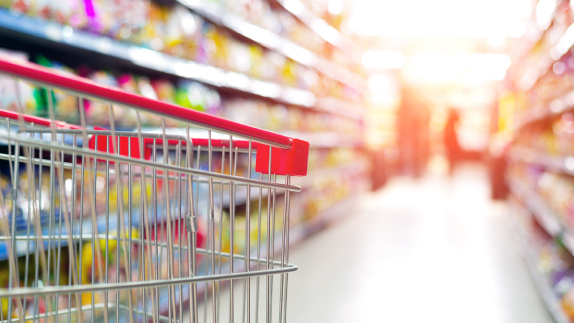 German discount grocer Aldi says it has been subject to “resistance and obstruction from other retailers”, such as its rivals Tesco and SuperValu which have in recent years objected to a slew of its planning applications nationwide. Michael Conlan is helping EUROSPAR and ViVOXTRA supermarkets deliver knock out prices with a new promotion focusing on value, kicking off in January.